In this series, Chad Ragsdale (New Testament faculty at Ozark Christian College) will help you answer questions about your faith, like: Why are you a follower of Jesus? Does God really exist? Is the Christian faith worth defending? This study will help you wrestle with these questions and have an answer to why you believe when skeptics ask. Coming to RigthNow Media May 17, 2019. 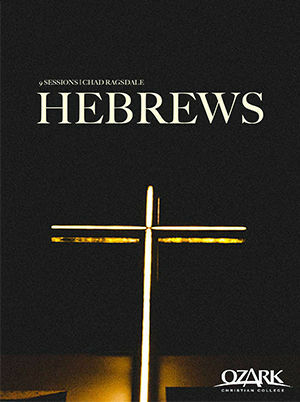 In this series, Chad Ragsdale (New Testament faculty at Ozark Christian College) will walk through the book of Hebrews and talk about its relevance to Christians today. He will challenge you to divert your attention from the troubles in this world, turn to Jesus’ presence, and encourage you to persevere.